You’ll want to stay on top of all things finance and insurance, whether you’re financing or leasing a Chrysler, Dodge, Jeep, Ram. 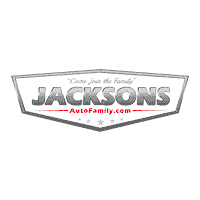 The team in the Jacksons of Enid CDJR Finance Department are here to help you understand the process and make it less stressful for you! We’ll work to help you understand buying vs. leasing, comprehensive insurance, loan finance rates, and much more. Explore all of our Chrysler, Dodge, Jeep, Ram incentives and lease offers, and feel free to reach out with any Chrysler, Dodge, Jeep, Ram financing questions you may have. We look forward to helping you decide what’s best for you when you finance or lease a Chrysler, Dodge, Jeep, Ram in Enid. Thinking about purchasing a 2019 Jeep Wrangler? Explore the trim levels in-depth to find out which one is right for your Kingfisher drives. Or, if you’re in the market for a pickup truck, explore the heavy-duty RAM 2500 towing capacity or compare the 2019 RAM 1500 vs. Ford F-150 to find out how the RAM can aid you on Woodward job sites.